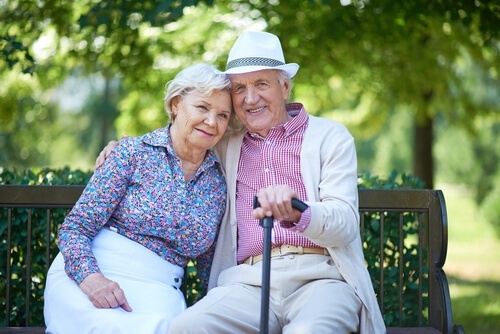 Does Your Senior Loved One Need Assisted Living or Memory Care? One of the most difficult things about watching a parent age is realizing that they can’t remember things the way they used to. Memory challenges may start small at first, but if your loved one has Alzheimer’s or dementia, those challenges can eventually make it difficult for your mom or dad to function on their own. That’s when additional support may become necessary. As you research care for your loved one, the various options may be confusing. Assisted living and memory care providers offer similar services, but have different ways of determining who qualifies for care. They also vary in what kinds of needs they can meet. In this post, we will explore the differences between the two and help you determine how to take the next step. 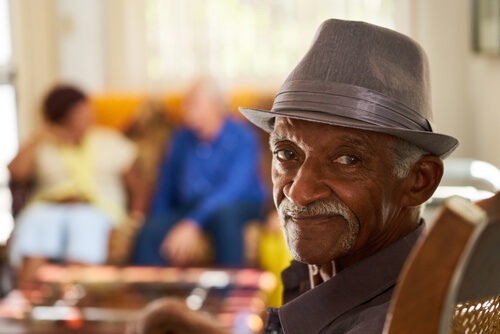 Assisted Living Vs. Memory Care: Which One Is Right For You? If your loved one still functions well in most ways but just needs extra assistance with daily routines, then assisted living may be a good choice. Assisted living caregivers offer help with daily activities but do not provide skilled nursing care. Memory care is a special kind of care that specifically addresses the needs of seniors struggling with impaired cognition. Let’s take a look at each option more closely. Assisted living services may be offered in your home or in a facility. They are designed to help your loved one maintain as much independence as possible while still providing the assistance they need with daily routines. Assisted living caregivers help with services like meal preparation, medication reminders, bathing and dressing, fall prevention, transportation to doctors’ appointments, and even grocery shopping or housekeeping. If you choose an at-home assisted living care plan, you can schedule visits as frequently as needed, or you can opt for 24-hour care. In an assisted living facility, it’s important to ask about the staff-to-resident ratio so that you know your loved one will receive the attention needed. Because there is no mandated standard for this ratio, it can vary widely among facilities. If your loved one is still active, mentally sharp, and can participate in their own care, assisted living is an excellent way to provide them the helping hand they need. Assisted living helps your mom or dad keep their independence while still making sure they are safe and enjoying a healthy quality of life. Care can be adapted to your loved one’s needs, and daily interaction with a caregiver provides important social connection that may dwindle as getting out of the house becomes more challenging. The primary drawback is that assisted living isn’t designed to help with more pressing needs like those presented in the later stages of dementia. If your mom or dad has a tendency to wander or can’t participate in activities like walking or dressing, an assisted living environment may not be the best option. Memory care services can also be offered either in your home or in a facility environment. The goal of memory care is to address the specific challenges of seniors who struggle with memory loss so they can continue their daily activities with dignity. In addition to assistance with daily living, memory care offers your family member the kinds of assistance specifically required by those struggling with impaired cognition. Services may include wandering prevention, safety and sitter care, memory stimulation, and additional security. In a facility, the layout of the rooms and hallways may be designed to minimize wandering and promote ease of access. Memory care at home can be tailored to your mom or dad’s individual needs with intermittent visits or 24-hour care depending on the progression of the illness. In a facility, it’s once again wise to ask about the ratio of caregivers to patients, and to find out what kind of training the staff have received pertaining to memory care. Memory care is structured to meet the unique needs of those struggling with illnesses like Alzheimer’s or dementia. These seniors often face unique challenges including mood changes, personality changes, wandering behaviors, and difficulty with personal care. Memory care helps your family address those challenges while also keeping your mom or dad safe and preventing falls and other safety hazards. If your loved one struggles with unfamiliar people or places, a memory care facility may not be the best choice for maintaining a comfortable lifestyle. That’s one of many reasons at-home memory care may be the best choice. You may also need to consider other options if your mom or dad needs the medical oversight of a doctor or nurse. Honestly assess your family member’s needs. Can your mom or dad participate in their own care? Do they have mild dementia or late stage dementia? Are they prone to wandering? Do they need significant help with basic tasks or just an extra helping hand here and there? Don’t be shy about asking questions. Every facility or care agency should be open and up front about the training their caregivers receive, the ratio of caregivers to patients, and the way they treat their residents. They should also provide you with a detailed care plan and let you know how they ensure quality of care. Consider all of your financial resources. There are many ways to pay for senior care, so don’t feel trapped into one option based on availability of insurance or Medicare. Your senior loved one deserves the very best of care. To help you make the best choice, we’ve put together a list of questions to ask potential caregivers as you schedule interviews. Download our free guide today!